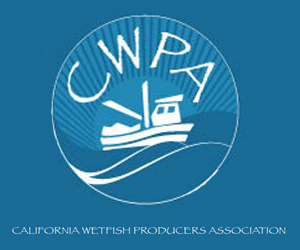 April 7, 2016 — No one’s fishing in large numbers for lanternfish, bristlemouth, pelagic squid or a handful of other forage-fish species targeted for protection in California by federal regulators this week. 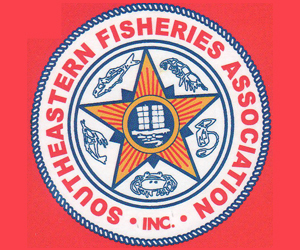 And no one will be fishing for them anytime soon, under the new rule, which has been the subject of debate among fishers and environmentalists for more than five years. It aims to proactively protect the Pacific Ocean ecosystem by banning commercial fishing of round and thread herring, Pacific saury and sand lance, and certain smelts across the West Coast that are preferred meals of predators commonly fished here. Before the rule was finalized Monday, new forage-fish commercial fisheries could start relatively easily. Now they can’t begin without extensive study, regulation and permission by the Pacific Fishery Management Council to ensure they’re not overfished or otherwise harmed. April 7, 2016 — WASHINGTON — A proposed federal rule that would give regional councils more say in setting catch limits on fish has sparked rare friction between the Obama administration and environmental groups. The proposal, years in the making, could take effect this summer. 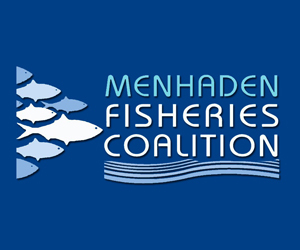 It would provide the eight councils “additional clarity and potential flexibility” to comply with the Magnuson-Stevens Fisheries Conservation and Management Act. Groups such as the Natural Resources Defense Council and Earth Justice say the change could roll back nearly a decade of progress in rescuing once-overfished populations. Since Congress updated Magnuson-Stevens in 2006, the number of stocks labeled as overfished or subject to overfishing has dropped to the lowest level in 20 years of tracking. 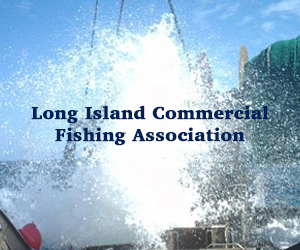 The councils, which include state officials, environmental activists and industry representatives, determine catch limits on dozens of stocks, including cod off New England, red snapper in the Gulf of Mexico and salmon in the Pacific. They follow science-driven guidelines — first issued in early 2009 in the waning days of the Bush administration — that are enforced through the “National Standard 1” regulation, which the proposed rule would modify. April 6, 2016 — The U.S. Fish & Wildlife Service has changed the status of some green sea turtle species from endangered to threatened in its latest report. Credit should be given to conservation efforts carried out by different wildlife preservation organizations across the world. Work of law enforcers and agencies has also been praised by the latest report. On Tuesday, the US Fish & Wildlife Service (USFWS) and the National Marine Fisheries Service (NOAA) have changed the status for few species which have seen recovery in their population. Experts said that there are many types of green sea turtles and the legislation is applicable on the ones found in the United States and Mexico. During the conservation efforts and project, the conservators divided the species in 11 segments. Out of them, three remain as endangered and the other eight have been changed to threatened species. With the division, specialists will be able to keep a track on the turtles’ development and to come up with better conservation strategies. Though threatened is not the best scenario, it is the first step in the right direction. Eileen Sobeck, assistant NOAA administrator for fisheries, said, “Successful conservation and management efforts developed in Florida and along the Pacific coast of Mexico are a roadmap for further recovery strategies of green turtle populations around the world”. April 1, 2016 — SEATTLE — The killer whales that spend time in the inland waters of Washington state already are tagged and tracked, photographed and measured. Researchers follow them by drone and by sea, analyzing their waste and their exhaled breath. Now, experts want to add another layer to the exhaustive studies: individual health records for each endangered whale. The records would take existing research on the creatures and combine it in one place. The idea is to use them to monitor the orcas’ health trends individually and as a population. It’s similar to people having one medical record as they move from one doctor to the next or between specialists. The Briefing Book for the April 2016 Council meeting has been posted to the Council’s website on the “April 2016 Briefing Book” webpage. 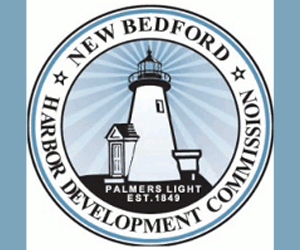 The Briefing Book contains “situation summaries” (brief summaries that provide background for each agenda item), reports and materials for each agenda item, and public comments. Advisory body and committee agendas and memos are also available. Researchers have found that changes in ocean conditions in the Northwest Atlantic during the past 40 years have altered the food web, changing the quantity and quality of important prey species. These food-web changes are thought to have influenced the survival and abundance of Atlantic salmon and many other ecologically, commercially, and culturally important species. Atlantic salmon have a broad range, extending from the US and Portugal in the south to Canada and Russia in the north. After a freshwater phase, juveniles migrate to sea for a year or more, with North American and European salmon stocks congregating at common marine feeding areas like the waters off West Greenland during summer and fall. There, salmon feed on abundant and energy-rich prey such as capelin, a small forage fish. This diet promotes rapid growth and maturation, allowing salmon to undertake long migrations back to their natal rivers to spawn. Changes in ocean conditions have significantly changed the quality of capelin, the primary prey for both North American and European origin Atlantic salmon feeding at West Greenland. Since the early 1970s, the North American portion of the stock complex at West Greenland has declined approximately 54 percent, and similar declines have been documented for the European stock complexes. The document Preseason Report II: Proposed Alternatives and Environmental Assessment Part 2 for 2016 Ocean Salmon Fishery Regulations; Regulation Identifier Number 0648-BF56 has been posted to the Council’s website. Please visit the 2016 Preseason Report II webpage to view and download the document. Additional comment will be accepted during the April Council meeting. Written comments received at the Council office by 11:59 PM, Sunday, April 3, 2016 will be copied and distributed to all Council members. 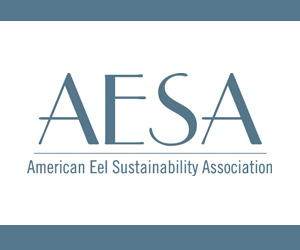 For further information regarding the salmon management documents, please contact: Mr. Mike Burner at 503-820-2414 or toll free 1-866-806-7204, ext. 414. (March 24, 2016) –Journalists from American Samoa, Federated States of Micronesia, Fiji, Palau, Papua New Guinea, Solomon Islands and Vanuatu have met this week as part of the 4th Pacific Media Summit hosted by the government, media partners and people of Palau. Their two-day Fisheries Forum Agency (FFA) tunanomics Pacific media initiative regional editors dialogue on ‘Reporting the Future of Fisheries – challenges to 2020’ comes two years after the launch in February 2014 of the FFA tunanomics Pacific media initiative at the 3rd Pacific Media Summit in Noumea, New Caledonia. The journalists expressed success stories and challenges in covering tuna stories and came up with recommendations that would make fisheries stories more attractive to readers. One of the recommendations is “to develop and grow their understanding of tunanomics and what the economics of tuna mean to policy and decision makers, not just to news makers”. In Palau, although offshore fishing contributes less than five percent of the Gross Domestic Product (GDP), Palau is taking a different approach by conservation and beefing up its marine surveillance capacities through its new national marine sanctuary. 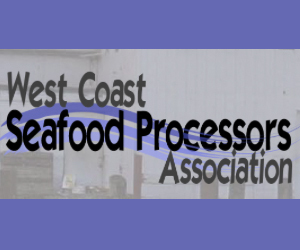 (March 24, 2016) — The Pacific Fishery Management Council yesterday adopted three public review alternatives for the 2016 salmon season off the West Coast of the U.S. The council will select a final alternative at their next meeting in Vancouver, Washington, on April 9 through 14. California (March 24, 2016) — Drift gill nets, fiercely contested fishing gear used to snag swordfish and thresher sharks in deep waters off Southern California, would be largely banned under legislation authored by a South Bay state lawmaker. Sen. Ben Allen, a Democrat whose district includes much of the Los Angeles County coastline, is drafting the final language of a bill that would halt state permits for drift gill nets and create a new state permitting system for alternative swordfish-catching gear that California fishery managers and researchers still are testing for commercial use. 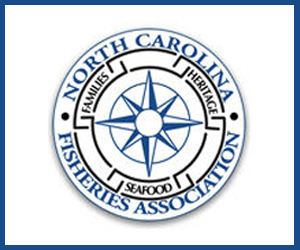 Senate Bill 1114 would allow about 20 permitted fishers to continue using the nets but otherwise would grant new commercial swordfish-hunting permits only for deep-set buoy gear. Allen expects to release the bill’s final language Monday and introduce it to a Senate committee in April.